Life is always busy, but for me, the busiest time of the year is definitely the months of November and December. I love Christmas, and I spend a lot of time decorating and cooking with the kids. Cooking and decorating for the Holidays is a lot of fun, but it doesn’t leave a lot of time to cook our weekly dinner. That’s why I love my Crock-Pot! A few minutes of preparation, and you have an amazing and healthy dinner. 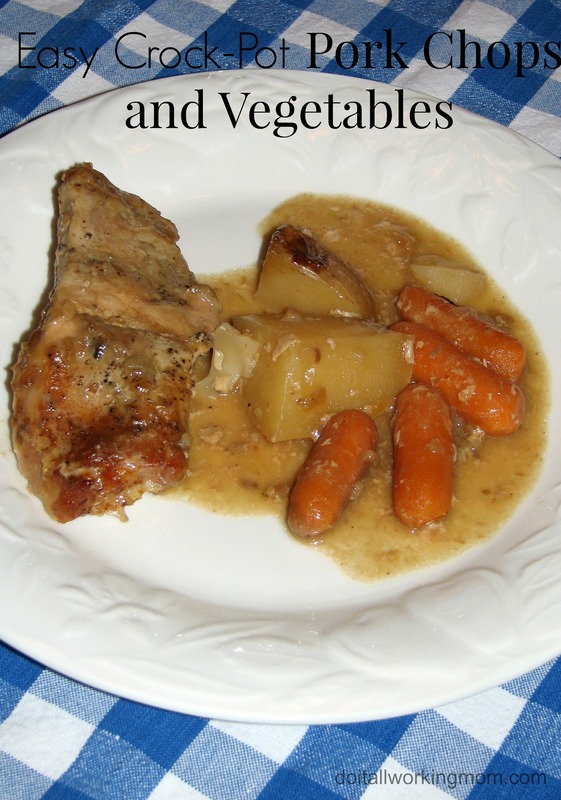 Today, I’m sharing with you this delicious Crock-Pot Pork Chops and Vegetables recipe you are sure to love. Cut your potatoes in large pieces and place them at the bottom of the Crock-Pot. Place the pork chops on top of the carrots. In a bowl, mix the soup, water, onion soup mix, salt and pepper. Pour on top of the pork chops. Cover and cook for 8 hours at low. If you don’t have a Crock-Pot, you really need to get one! Makes life so much easier. It also makes a great Christmas gift. Hope you enjoy this delicious and easy recipe! 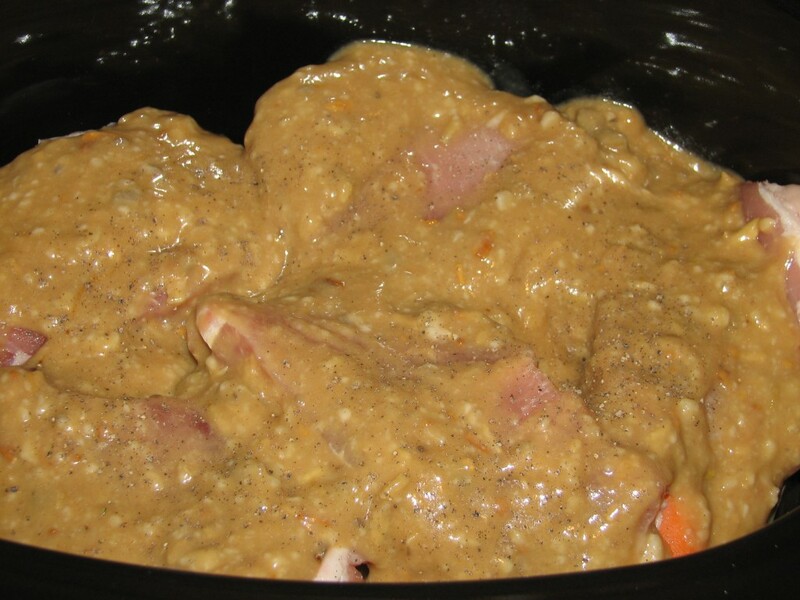 I’ve been wanting to learn how to make more recipes on the Crock Pot and this one looks delicious. It’s so easy to make it this way, especially during the work week. Yes, it’s the perfect weeknight recipe. That looks savory! I want to try this with chicken. I’m sure it will be really could with chicken also. That sounds absolutely delicious. I can’t wait to try this. I love crock meals. They’re a big time saver and less food prep dishes to clean. I really do have to get a crock pot-but a small one since I live alone. This recipe sounds hearty and delicious-perfect for the winter time. Yes, it’s the perfect recipe for this time of year. I haven’t made crockpot pork chops in years. This is tempting me big time! It’s so easy to make, totally worth the try. Yum. I don’t think I’ve ever done Pork Chops in the crock pot. I’ve done lots of other things but never pork! I should give this a try. 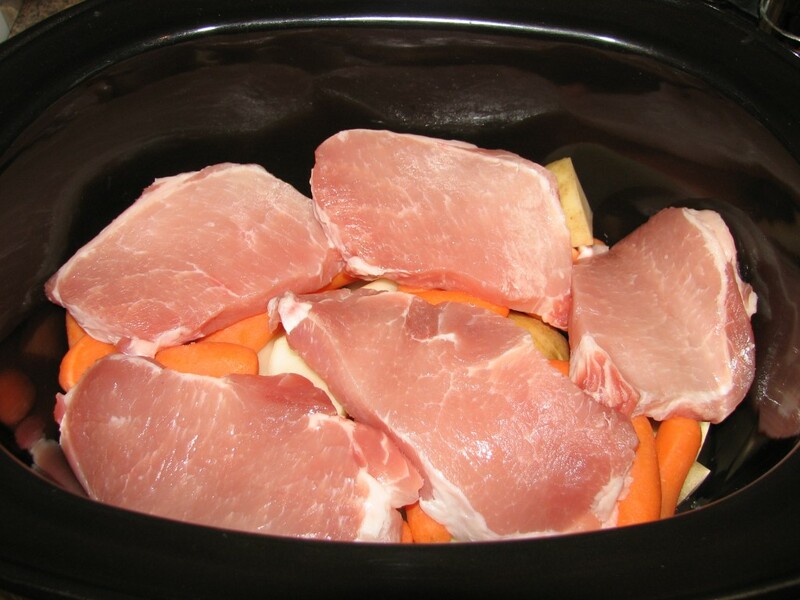 You should really try pork in the crock pot, I also have a great pork tenderloin recipe. Yum! This is exactly what I’m looking for! I need some variety, kids are sick of the regular lineup. I will report back! Thanks a lot. I have someplace to go on Tuesday and I found the perfect dish for dinner. I could go ahead and attend the meeting and come home to a perfect dish. Thanks for the recipe! It’s the perfect dish for those kind of days. YUM!!! I love crock pot meals, they’re SO EASY!!! Definitely going to try this one as we don’t eat pork often and it looks amazing! Love this recipe so yummy and easy I added mushrooms to mine added a lot more flavor. That is a great idea! I’m glad you enjoyed. This is in the crock-pot right now, for the first time. I make at least 3 meals a week in the crock-pot. I am ready for dinner, sound and looks delicious.